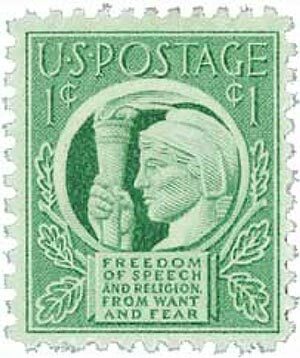 U.S. #908 – FDR personally selected this stamp design to show the world why the U.S. entered the war. Click the image to buy. On January 6, 1941, President Franklin Roosevelt gave his “Four Freedoms” speech while delivering the State of the Union Address. By January 1941, World War II had wreaked havoc across the globe. Germany invaded Poland, Belgium, and Holland. Additionally, France had been defeated by a German blitz, leaving England the lone nation against Germany. The Soviet Union invaded Finland, and Japan was ruthlessly battling China. US #3190a from the Celebrate the Century – 1980s sheet. Click the image to buy. 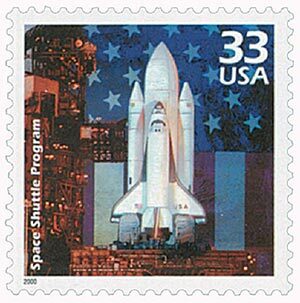 NASA began studying the possibility of space shuttles in the late 1960s. Then in 1969, President Nixon created the Space Task Group, led by Vice President Spiro Agnew. The group established a list of missions that included the creation of space vehicles, a space station, and eventually a manned mission to Mars. US #1874 was issued on Dirksen’s 85th birthday. Click the image to buy. 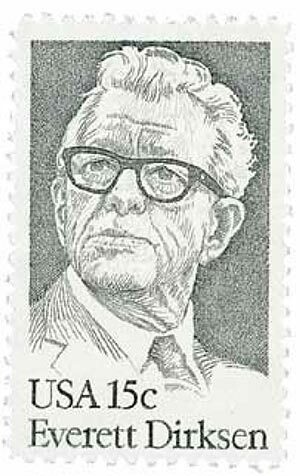 Statesman Everett McKinley Dirksen was born on January 4, 1896, in Pekin, Illinois. Born to German immigrants, Dirksen had a fraternal twin and another brother. His father died when he was just nine years old. The Dirksen family farm was on the outskirts of Pekin in an area known as Beantown because they grew beans instead of flowers. 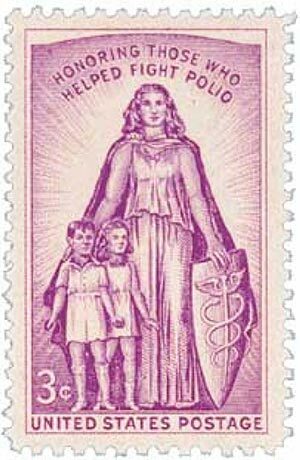 US #1087 was designed to symbolize the struggle against polio. Click the image to buy. On January 3, 1938, President Franklin Roosevelt established the National Foundation for Infantile Paralysis, later renamed the March of Dimes. In the early 1900s, polio affected thousands of American children every summer. Found in contaminated food and water, it was easily transmitted and mostly affected children. 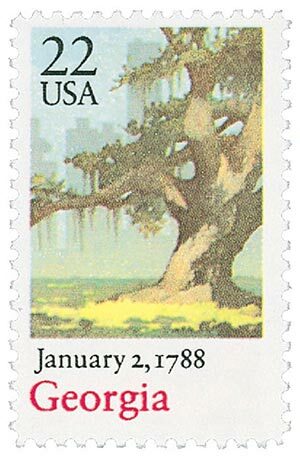 US #2339 was issued for Georgia’s 200th anniversary of statehood. On January 2, 1788, Georgia was the fourth state to ratify the US Constitution, making it our fourth state. The first human inhabitants of Georgia were the Mound Builders, a prehistoric Native American tribe. Over time, the Creek tribe settled in the South and the Cherokee in the North. US #704 was based on a miniature painting by Charles Willson Peale in 1777. 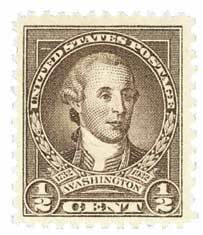 On January 1, 1932, the US Post Office Department issued a set of 12 stamps honoring the 200th anniversary of George Washington’s birth. The Post Office officially announced their plans for the set of stamps in November 1930. Early on, they had grand ideas for the set.